The banner "It's golf, but not as you know it" has been the mantra of this week's GolfSixes, but for punters who like to bet on the game, the novel tournament in St Albans this week is a real conundrum. Hot on the heels of the team event at the Zurich Classic of New Orleans last week, the European Tour is picking up the baton and, nearly three months after the World Cup Super 6 in Australia, it is hoped a six-hole competition will capture the public's imagination. The tournament in Perth was an individual affair, won by local player Brett Rumford, when after three strokeplay rounds, the top 24 players went through to a series of knockout matches over six holes. This time, it's matchplay all the way and with little margin for error and a host of distractions off the course such as fireworks, music, big screens, nearest-the-pin competitions and the like, it is a tough call. Two teams from each of the four groups progress to the knockout rounds on Sunday, so there is scope for a team from low down the betting to grow into the tournament and Italy could fit the bill. 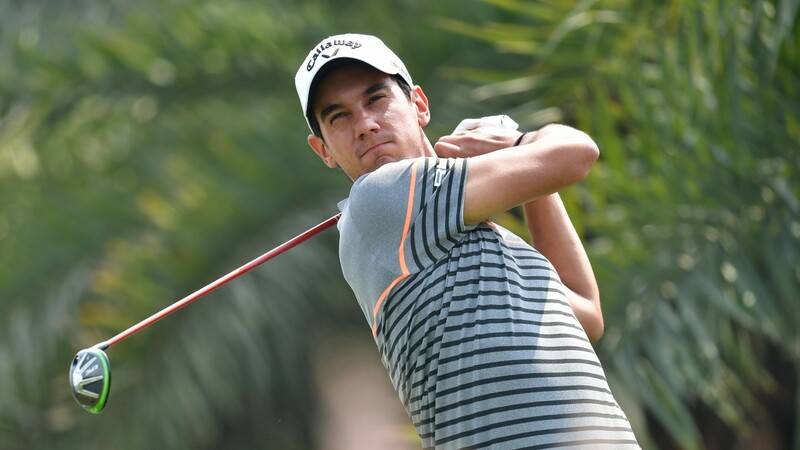 Matteo Manassero has been regarded as the future of European golf for quite some time and while he has yet to fulfil his potential on a regular basis, England was the scene of his finest moment when he won the PGA Championship at Wentworth in 2013. That is one of four European Tour victories on his CV and, while his form this season has been solid if unspectacular, the game's leading lights are not taking part this week and he did claim third spot in the Indian Open in March. He is partnered by Renato Paratore, who had an excellent second half of last year when he recorded six top-25 finishes. The 20-year-old has a bright future and as the youngest team in the competition, they could embrace the new concept and flourish. The host nation look worthy favourites as they have Andy Sullivan and Chris Wood flying the flag, both of whom gained valuable Ryder Cup experience when the Europeans lost in Hazeltine last year. The pair also played together in last year's World Cup in Australia, when they finished tied for 13th in a field which was a lot stronger than the one that takes to the tee in St Albans. That big-match temperament should help their chances, but while the best pairing are worthy of support, it is unwise to go steaming in with a huge stake. Thorbjorn Olesen was half of the winning Danish team who triumphed at the World Cup last year and he should put up a bold show, while Belgium's Nicolas Colsaerts is a player who should make mincemeat out of the 516-yard third. Thailand's Kiradech Aphibarnrat is a hugely popular player and he could be galvanised by a supportive crowd. Format Teams of two from 16 countries will battle it out over two days to be the first winners of this new tournament. The teams have been divided into four groups and will each contest three group games over a six-hole course. Games will be played under greensomes rules which will see both members of each team tee off and, after the best drive has been selected, play alternate shots to complete the hole. Points are allocated on the basis of three for a win, one for a draw and none for a defeat. The top two teams after the group stage will progress to contest the quarter-finals from Sunday morning, where an extra playoff hole will be used to decide who progresses if required. Course overview Flashing lights, loud music and various competitions are all included to add to the fun and the course contains two par threes (first and fifth), two par fours (second and fourth) and two par 5s (third and sixth). The third is just 516 yards long so that will encourage players to go for the green in two. Nearest-the-pin and longest drive prizes will be mere distractions but a 40-second shot clock is in operation on the fourth hole and a one-shot penalty will be enforced for any time indiscretions. This is the first time the Hertfordshire track, where holes are surrounded by pine forest and features bentgrass greens, has been used as a European Tour venue. Weather forecast The tournament looks set to start under cloudy skies and any rain on Sunday should have cleared before the quarter-finals take place. Type of player suited to challenge No one would have signed up for this tournament without embracing the novel concept, but there is a decent prize up for grabs and players need to be focused. The temperament to deal with the distractions will be key even though the golf test should be straightforward. It could come down to whose putting holds out.